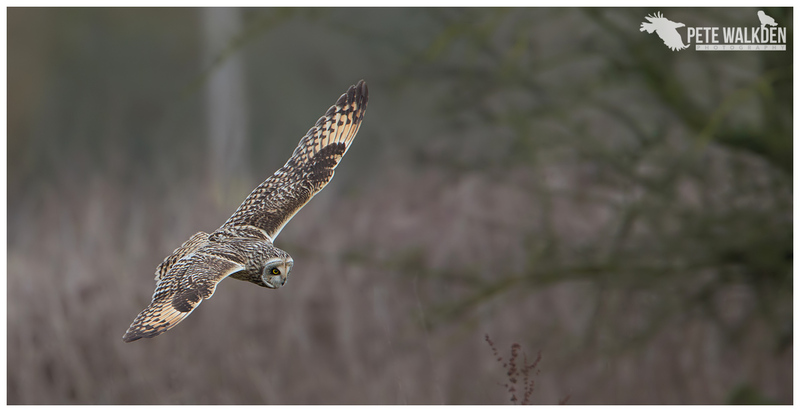 Winter wouldn't be winter if I didn't find some short-eared owls to photograph, and after several trips to Northamptonshire, Gloucestershire and Leicestershire, I have finally found somewhere closer to home in Worcestershire that is starting to yield results. Initial visits were hampered by the weather and restricted access due to floods, but braving the wind and rain I soon established where the owls were roosting and choosing to hunt. Hence over subsequent visits I had a better idea of where to look for them and where they might head if they flew off. However, as with these things it is rarely as planned. 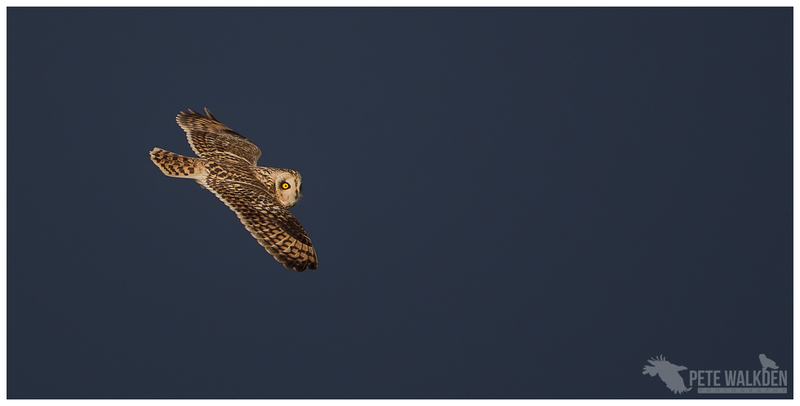 The image above was taken just before a "shower" that had been forecast arrived - that's the darkness behind the bird as the shot was taken around lunchtime... 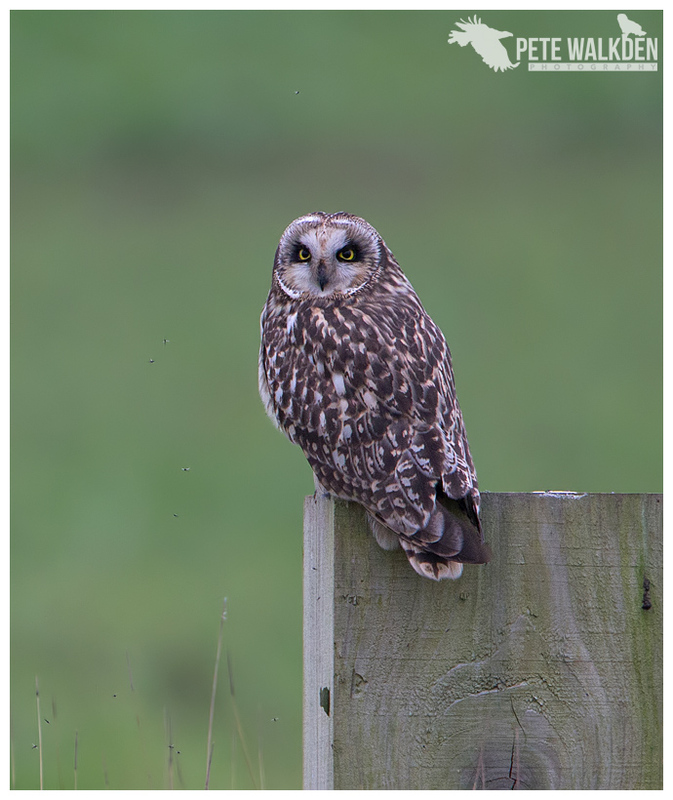 The shower lasted nearly two hours and afterwards, while it brightened up, the owls never came back out. Makes me shiver thinking about it! With less rain falling, the floods receeded and I was able to access more of the area, and this meant opportunities to monitor where the owls were roosting. 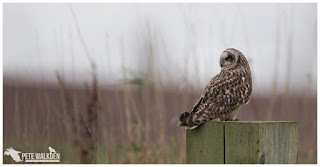 They tended to perch in or alongside a hedge (as the ones did in Northants years ago) but any images of them when they were sat on posts here were messy with grass in front and twigs and sadly litter behind. 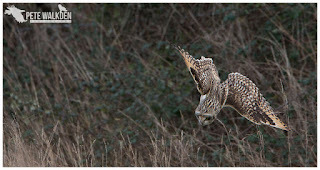 By biding my time though, I did start to get brief chances at shots of them as they headed off to hunt. As is often the case when lots of rain has fallen, when drier times arrive, the ground starts to dry off and in a valley, fog forms. 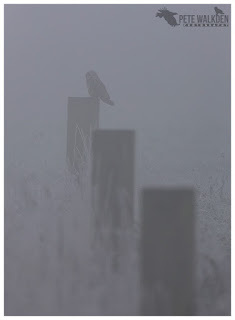 On a couple of visits I left the house in clear conditions only to arrive on site in thick fog. On the first occasion, the fog lifted early afternoon and I watched a couple of the owls head off hunting through the thinning mist. 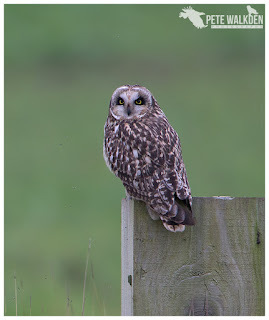 And knowing where at least one of them liked to hunt provided decent views as it perched up to rest. That said, the mist added something to the images and created a somewhat atmospheric, ghostly effect when one of the owls perched up nearby. 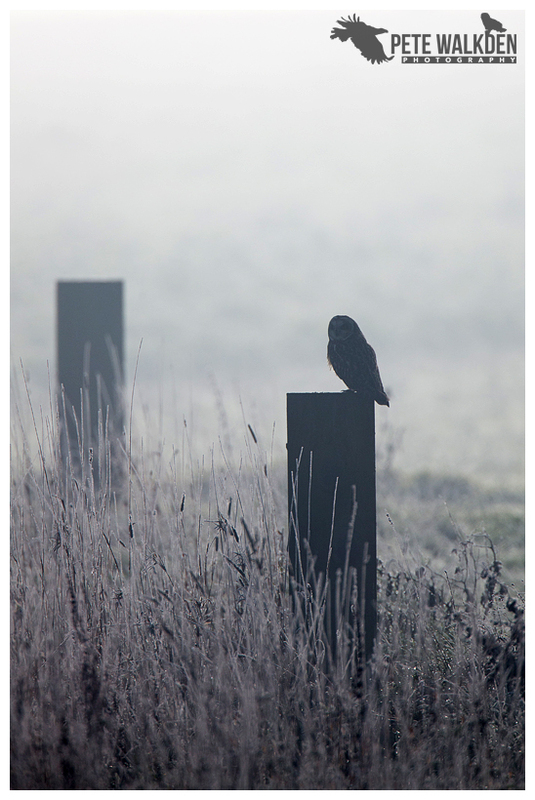 Having seen the fog lift to yield sunny conditions the one day, I hoped the same would happen the next. It was very cold and calm, and despite wearing several layers of clothes, I was cold that morning. And after hours of standing round in the thick fog, it became clear, if you excuse the pun, that it wasn't going anywhere. With some of the more usual sites (those I'd tried first) failing to deliver, an old friend contacted me to ask if I didn't mind meeting him at the site for a look around. Of course not! I enjoy company especially when there's lots of waiting around for hours. 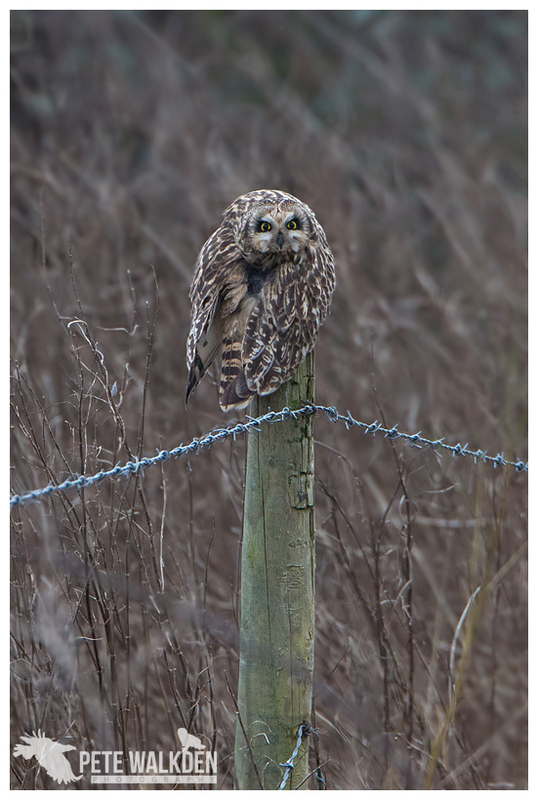 So at about 9 am, half an hour later than I'd planned (due to a rather annoying head cold) I was stood in the mud with Steve Seal and his partner Tracey, looking at an owl on a post beside the hedge. There had been six owls there earlier but a dog walker had allowed their hound to charge around the area where the owls roost, and spooked all but one of them. 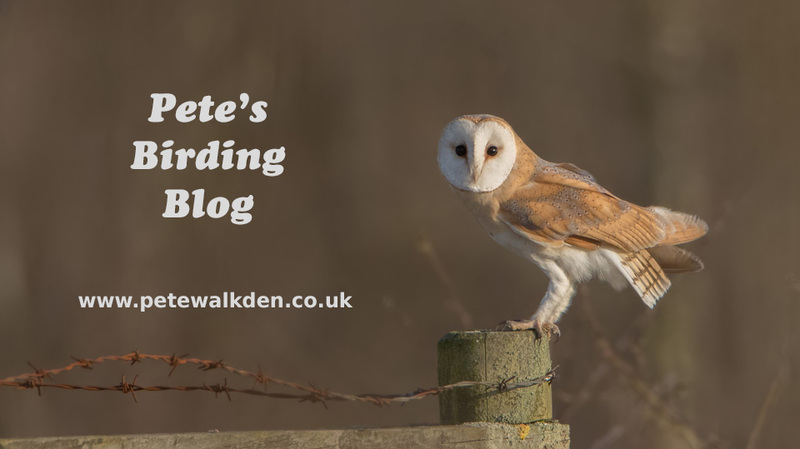 After a stroll around the area, showing Steve and Tracey where the owls hunt and often hide, we followed the owls back to their roosting site and waited. 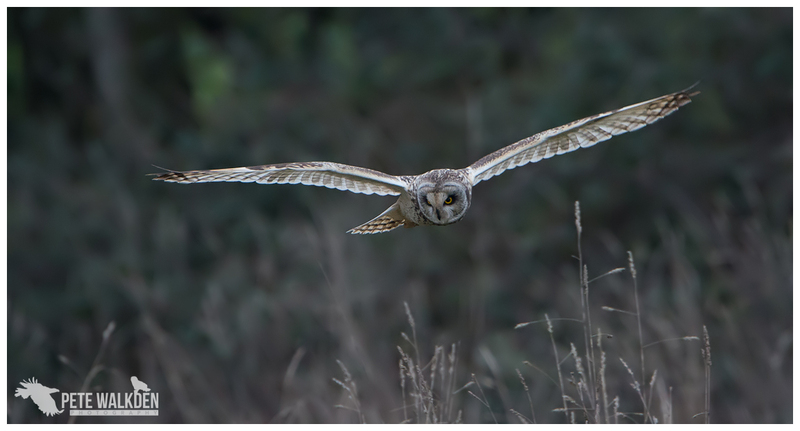 Another barking dog caused one of the owls to take flight, and that was what I had hoped for, and grabbed some shots as it flew around the area near me. It dived down a couple of times, but each time failed to catch anything. But it was good just to see one in flight. 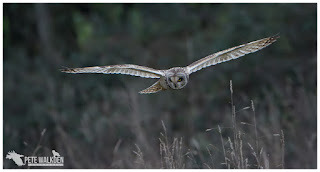 The camera did a good job of tracking the owl too, as it flew through tall stems, some of which were taller than me (not hard, I know). 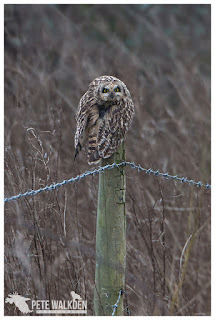 After following one around the fields, probably not a wise move with a streaming cold, it settled on a post to preen. It didn't look overjoyed to be photographed doing so! 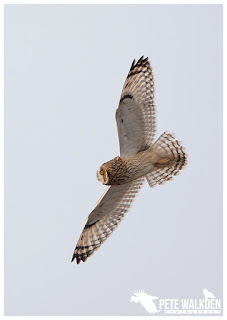 Having been on site for over five hours, Tracey along with almost all of the birders and photographers had called it a day and returned to their cars. 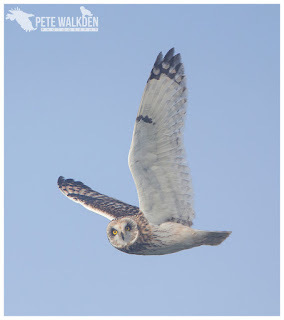 Steve and I hadn't though, and our efforts were rewarded when the owl we'd photographed preening departed and we second-guessed where it'd go. 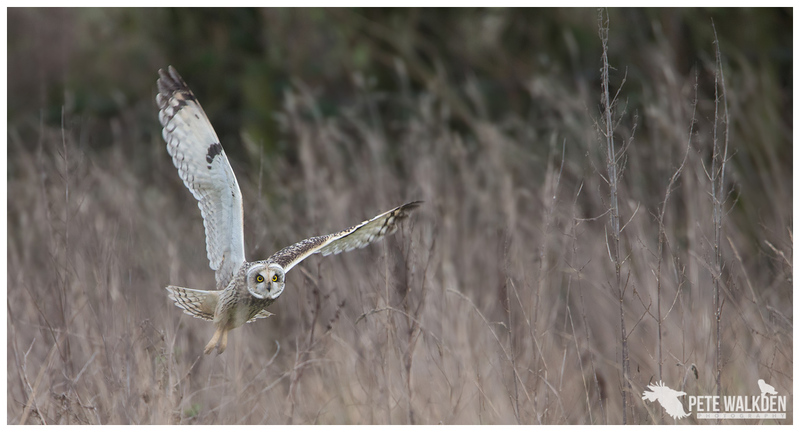 Grabbing some shots through a hedge, we started to approach quietly and slowly. 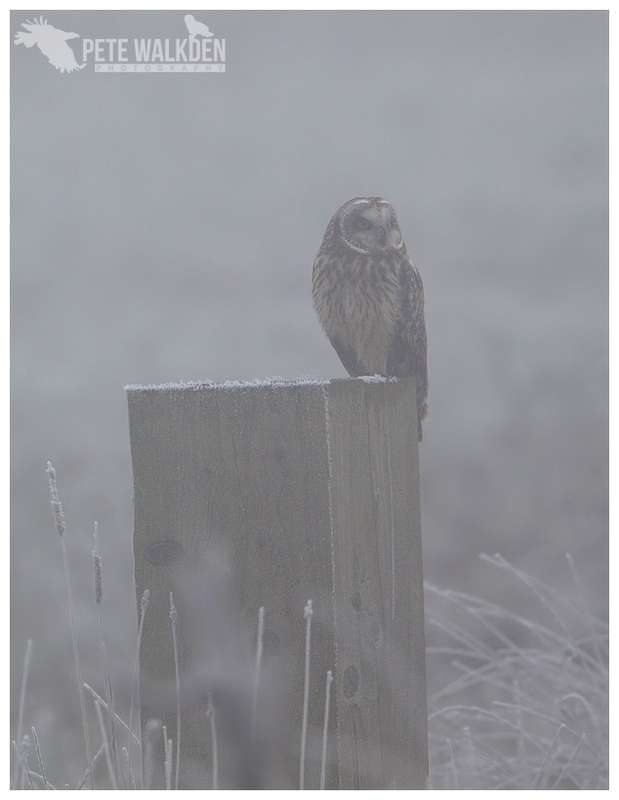 The owl relocated to a perch slightly further back, but as we crept closer, it seemed more interested in what might be moving in the vegetation nearby. 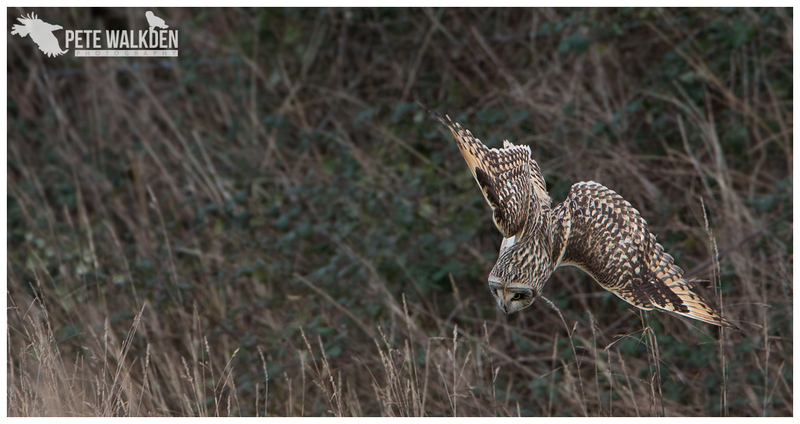 And without a band of people with us, we were able to get pretty close to the owl for these shots. Not a bad day out for us all. 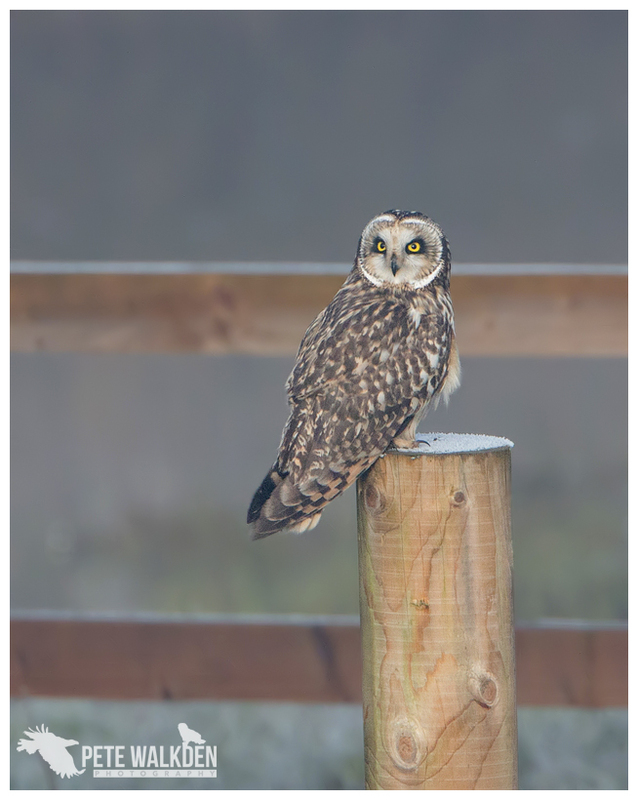 Both Steve and Tracey left with images of the owls - I allowed both to make use of my 500mm + 1.4 lens combo for a couple of the perched birds, to get that slightly longer reach, and without the fog, I'd bagged a few decent shots too. The pint, cheese and onion roll and bag of crisps afterwards helped round off a fine day out.